The LY38 is a narrow, natural haired blending brush; the LY38A is a smaller narrower version of the LY38 and the LY38B is slightly smaller version of the LY38A. There isn’t a significant difference between the LY38A and the LY38B, but the LY38B has a more tapered tip. 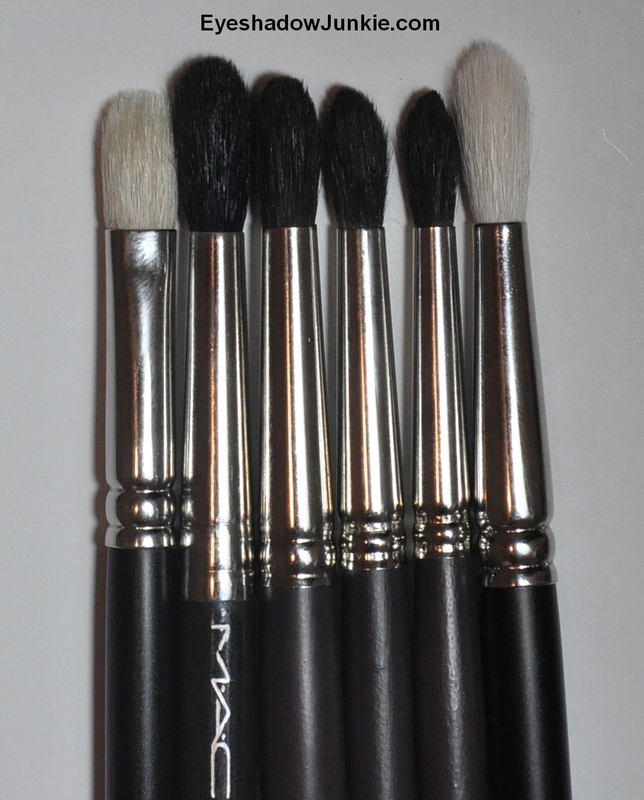 The brushes are very soft, softer than the Mac brushes shown in my picture and blend shadows like a dream. If you have small lids and find your typical socket brushes too big, consider the LY38A or B. The cost of the brushes range from £15-17 (~$24-$27); shipping took much longer than expected but one of the brushes was out of stock at the time of purchase. So, the LY38A was shipped separately and the company gave me an eyeliner brush for free. Thanks Louise! i found this really helpful – thankyou! My pleasure. Thanks for the feedback!! Thanks for compaing these! Very helpful!